Like it or hate it, you've heard of it. Pokémon GO has been a huge phenomenon in the three weeks since its release, with gamers all over the world reliving their childhood through the augmented reality (AR) game. You only have to look at what people are saying on social media and in the news to see just how much of an impact the game has had on people’s lives since it burst onto the scene. Our data shows Pokémon GO sparked over 250,000 news articles across the world, and more than 2.5 million global social media conversations using the hashtag #PokemonGO since its launch. The app was so popular, it surpassed Twitter’s daily active users within the first week of its launch. Brands of all sizes are jumping in on the conversation, leveraging the popularity of the game to attract customers — from local cafes, KFC, TAB, Sportsbet, Woolworths and even Virgin Mobile, who offered mobile charging stations to players in need of a battery boost. 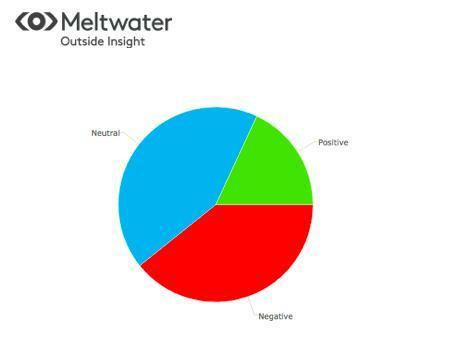 Media intelligence can reveal a lot more than just the volume of ‘noise’ or conversations. It can also tell you how people around the world are reacting to the AR phenomenon. For example, most people are definitely getting “Krabby” over the abundance of Zubats around. Over the last three weeks, there’s been 9,924 social media conversations around Zubats, which are basically like the Pokémon equivalent of flies in the summer time and extremely annoying with 40% of Zubat conversations being negative, 18% positive and the rest neutral. For the competitive or patriotic gamers out there, it’s interesting to see which team is coming out on top in terms of share of voice. 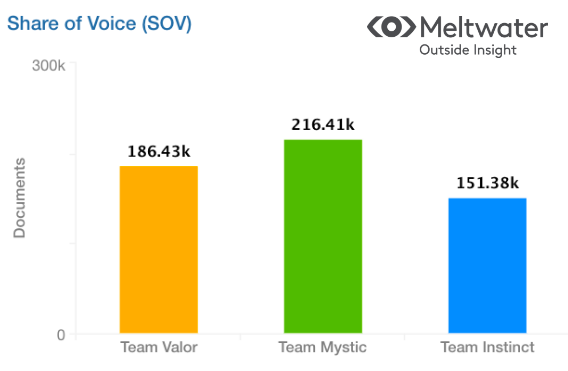 Team Mystic has 39% share of voice and has sparked 216,411 mentions, Team Valor at 37% and 186,428 mentions and Team Instinct received 27% share of voice with 151,375 mentions since the game launched. 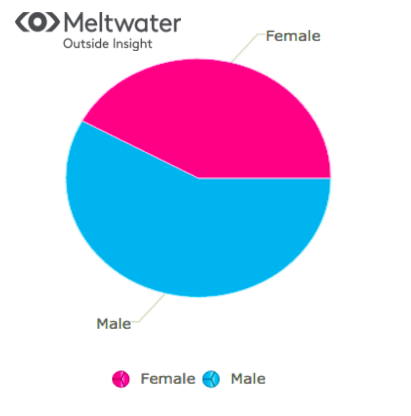 Men are getting more involved in discussing Pokémon GO than women, with the split of conversations at 59% versus 41% respectively based on those who display their gender on their social media accounts. Trending topics show how Pokémon GO has impacted people around the world, even Michelle Obama is associated with it! The game has also raised discussion around topics like mental health, obesity and childhood, especially since gamers are being inspired to get out and explore new neighbourhoods on foot, and end up exercising more than they usually would, as they eagerly play the game to ‘catch them all’. One of the hot topics on social media are gyms. Gyms are a place in the game where you can train and fight Pokémon and they often pop up in obscure places. One guy woke up to find people arriving at his house in the middle of the night because it was listed as a real time gym in the game! 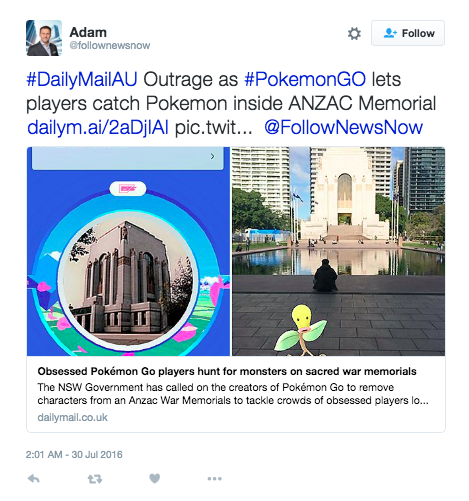 There have also been other news reports around the world of local councils and politicians asking to remove sensitive locations such as museums, memorials, churches and graveyards which had previously been listed as Pokestops in the game. Including NSW Premier Mike Baird calling to remove the Anzac Memorial in Sydney’s Hyde Park. Pokemon Go characters appear based on when and where players are, and the characters you run into can match the environment you’re in. Squirtle, the two legged turtle, is one example of a popular character which people have talked about finding at the beach, university campuses and various parks where there must be water and the temperature matches the character type. You can even watch a video of hundreds of people flooding a park in Washington lured by the chance of catching a rare Squirtle! It will be interesting to see how long the fad lasts, or if people will be lifelong committed fans. Only time will tell! 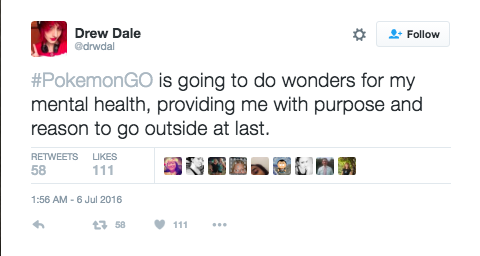 Read more ​Pokémon Go: A Game-Changer for Bricks-and-Mortar Retail? Read more: Is social media making you depressed or anxious?